ASR is an authorized reseller for HP, IBM, Lexmark, CISCO, Zebra and many other world-class providers. We also offer used or refurbished equipment from all manufacturers an more. Save BIG with used hardware! ASR is your one stop shop for new and used IT equipment and accessories. 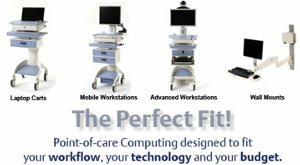 Contact us today for a personal consultation to help you custom configure a system or uncover a budget minded solution. ASR is the right choice to provide the right solution for your company. Our clients praise our approach and we will work hard to cultivate a close relationship with you and your staff to get the job done. We can assist with any hardware, software or management project. ASR wants to be your IT partner and we want to earn your business every day. Our philosophy is simple: ASR rewards our clients through the Value of Service. Are you getting the hands-on Service you deserve? ASR provides quality IT contractors and technicians to businesses needing Contract, Temp-to-Perm or Permanent Placement personnel. Our highly acclaimed consultants consistently produce results with a “Team” attitude. Development, Programming, QA and Data Warehousing are just a few areas of ASR's expertise. ASR can help you meet your project deadlines with the right personnel, every time. Our proven track record speaks volumes. ASR is an award winning organization providing IT Services and Solutions. Founded in 1972, ASR has continuously shown vision and value in our approach to the IT field. We consistently exceed the expectations of our clients through hard work combined with a personal touch. ASR believes that building a strong relationship is the key for business success…for the client and ours! ASR will work to earn your business every day. Our staff is dedicated to providing Top-Notch IT personnel and World-Class IT equipment on a national scale. Hard to fills are considered a challenge to us. Whether you need CS developers in Tulsa, QA Testers in Cleveland or a DBA in Atlanta, ASR should be your clear choice for qualified consultants. Packaged with our ability to fill your Job Requirements, we also offer all HP products as a Premier Partner. ASR is also proud to represent Microsoft, Intel and Cisco with Solutions to enhance the operations of every IT department.